Help us to help keep you updated since 2007! All of our articles are free. If EVERYONE reading this donated, we could keep this website up and continue to update you indefinitely! I really like this post from one of our readers , Crystal in our comments section. This sheds additional light on this hoax. This must be getting old even to the Global Elite. The people and places are different, but the song remains the same. It looks like this latest shooting in Orlando is just another False Flag hoax aimed at further eroding the Constitution. Are you clamoring for gun control yet? 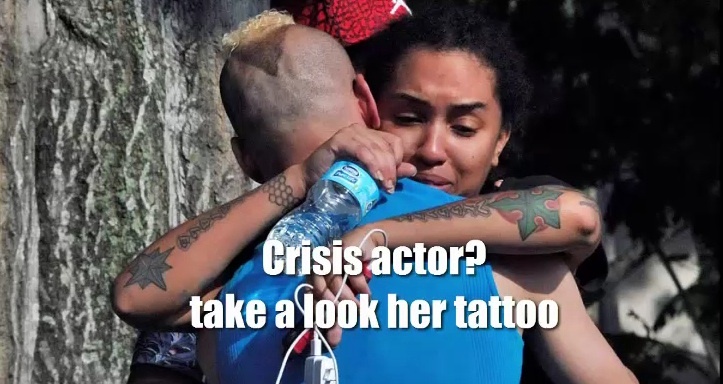 That’s exactly the emotional response the Global Elite want from you after this latest fake, staged shooting in Florida. Okay everybody! Here is the smoking gun that this whole thing was a hoax. COPY THIS VIDEO! IT HAS ALREADY BEEN TAKEN DOWN NUMEROUS TIMES! It shows the “alleged” victims being carried off the wrong way….NOT away from the club but back to it! TAKE A LOOK! To start with, it has Illuminati numerology written all over it. June 12 or 6/12/2016 = 6+1+2+2+0+1+6=18 or 6+6+6. 6+12 =18 or 6+6+6. because it makes perfect sense that if you are there in the club and shooting is happening you are going to be checking your Facebook. Right? Then the cops “warned” (per CNN article) everyone to not call or email them and that all info would come via Twitter only. (Twitter is prominent source of info in drills and exercises). Then explosions were heard but the public was told these were planned detonations by the police. Sure sounds like a drill! They say bloody people are being pulled out but it’s been 3 hours and not one photo or video of any of that happening, just a few of the first responders. So Why Get The Gay and Lesbian crowd involved? Well, it’s quite simple, they are two groups of people that are above being criticized. For anyone who dares say anything negative about these groups, then be prepared to be labeled a “Nazi” or “Homophobe” or “Hater” or worse. So now when the LGBT crowd gets into the mix and calls for gun control, then what politician is going to speak out against them? Remember, Obama was put into office to 1. Pass Obama Care. 2. To weaken an already weak 5th Amendment. And finally to destroy the 2nd Amendment. Remember, no Dictator was ever successful when “The People” are armed. Some Excerpts below are from: SOTN (Alternative News and Commentary). Why did they carry out a ‘mass shooting’ in a gay night club? There should be no doubt that the alleged mass shooting in the Orlando gay night club is a classic false flag operation and government-coordinated psyop. Not only does it have all the typical signatures of a purposely hole-ridden narrative, it has an extremely explicit purpose behind it. All of the initial news accounts speak of a lone gunman who killed 50 people and sent scores to the hospital. Why do these ridiculous false flags ALWAYS begin with a lone gunman? These G-men co-conspirators just can’t seem to shake their Lee Harvey Oswald (LHO) inspired Lone Patsy Syndrome. A close reading of the multitude of press reports clearly indicates gross inconsistencies and impossible facts that have rendered the official account from Orlando law enforcement completely implausible, as well as impossible. There are so many details which make no sense that the fix is quite obvious. 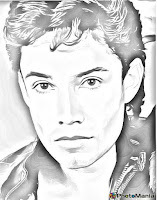 The following link contains a series of those various and sometimes conflicting media reports. This tragic incident has several hallmarks of being a false flag attack; the shooter being a young Muslim, the FBI ‘checking’ to see if he has links with extremists, the shooter already dead and unable to answer any questions. It’s all too familiar. The fact it was a gay club may also be significant, given the current hoo-hah in the US political arena over LGBT issues. And again, more “staged” photos: I wonder why there is always abundant bottled water at all these “alleged” crime scenes? Kind of the same thing we see on movie sets. Plus check out Illuminati symbolic tattoos. 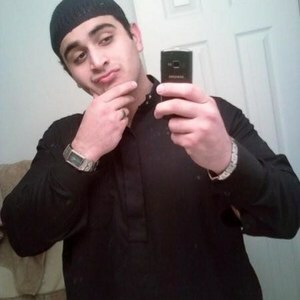 Since the initial reports, the shooter has been identified as US citizen Omar Mateen from Florida. 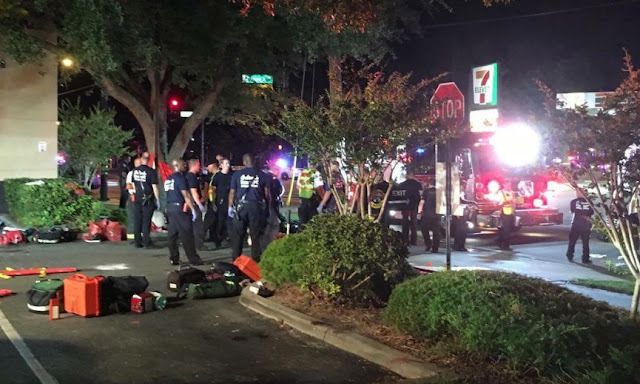 (CBS-) The suspect behind the gay nightclub shooting in Orlando, which left dozens dead and injured, has been identified as Omar Mateen, the CBS network reported, citing sources. The channel added that the FBI is currently checking if he was linked to extremists. You have go to be kidding me! Can’t these actors and producers ever stage something we haven’t seen before? Nice selfie in the bathroom! After a seven month gap the cookie cutter psyops have resumed in the United States with another brazen and obvious psyop in Orlando Florida. We are told that a gunman entered the Pulse gay nightclub in Orlando at around 2am on June 12th and opened fire indiscriminately and that 50 people are dead and 63 wounded, a remarkable toll. We are told that the gunman fired INTO THE CEILING and into the crowd who it is claimed numbered around 100. We are told that the gunman was armed with a hand gun and a semi-automatic weapon and had a bomb strapped to his body that was not detonated. We are told that nine police shot the apparent terrorist to death. 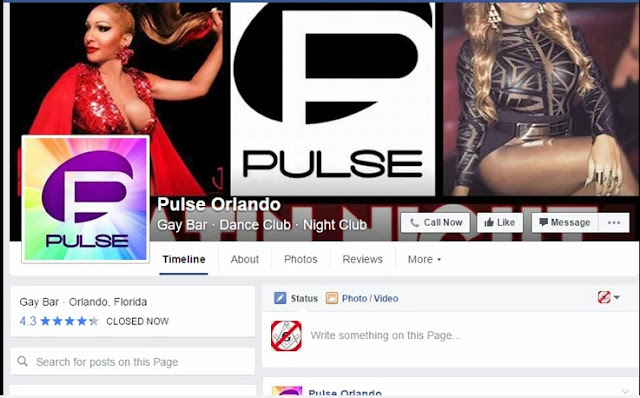 We are told that the staff at Pulse nightclub posted on their Facebook page that people should evacuate the club after the shooting began. So it is a small venue, a maniac has opened fire with a semi automatic weapon and the dedicated ever helpful staff are thoughtful enough to take the time out to post a message on Facebook advising patrons to leave the venue as if they would not have noticed the incident taking place before them. Because almost everyone uses social media, the half -bright buffoons who design these events believe that twitter and facebook are the ideal platforms through which to bring an aura of verisimilitude to their pathetic work of fiction. How obvious do they need to make it? Sheesh! The American public will believe anything! A correspondent from the WFTV channel said Mateen was 27 years old and was from Port St. Lucie in Florida, nearly 150km from Orlando. According to reports on social media, he was born to Afghan parents. His level of preparation indicates an intention to demonstrate his profound devotion to Allah during Ramadan. Since when was Ramadan about killing people? How is committing murder showing devotion to Allah? This is just ludicrous nonsense written by someone who is either completely ignorant of Islam or is willfully telling nefarious lies in order to demonize Islam. Remember why the New World Order wants to turn World opinion against Muslim nations is because they are “Non Conforming Nations” meaning that they don’t want to be part of the one world government. This whole process of official obfuscation is critical to the very nature of a false flag operation. The many seeds of doubt that are sown by the MSM set up the whole nation so that the real perps will NEVER get caught. Just like the LHO lone patsy, they love to put the blame on just one individual, 50 dead and 42 hospitalized! Did he have a military machine gun or a newfangled gattling gun?! 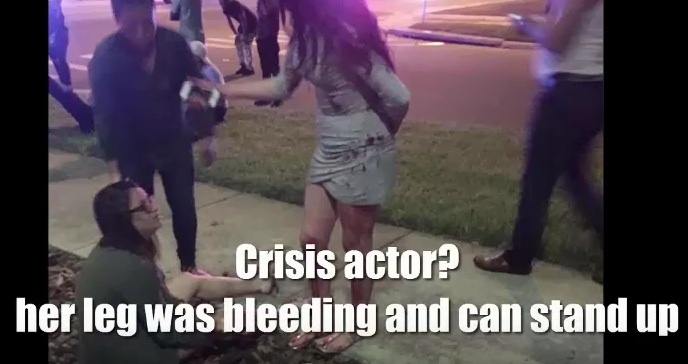 In any event the only questions that ever really matter when trying to solve such a transparent false flag shooting event is WHO really did it and WHY did they do it. It ought to be quite obvious by now that Obama was put into the White House by his masters to accomplish five primary goals: Enact Obamacare. Restart the Cold War with Russia. Crash the Economy. Promote Gay Marriage and Nullify the 2nd Amendment. He has been wildly successful at achieving four of these goals. The last one has remained elusive. This particular challenge has not NOT been met because of his lack of presidential initiative and personal will however. He just hasn’t found the right formula necessary to unlawfully abrogate the Second Amendment. So many false flags executed during Obama’s 2 terms have been engineered, from Sandy Hook to San Bernardino, to do just that incidentally. For those who really think outside the box, it’s important to perceive the purpose behind the cynical utilization of Orlando, Florida. 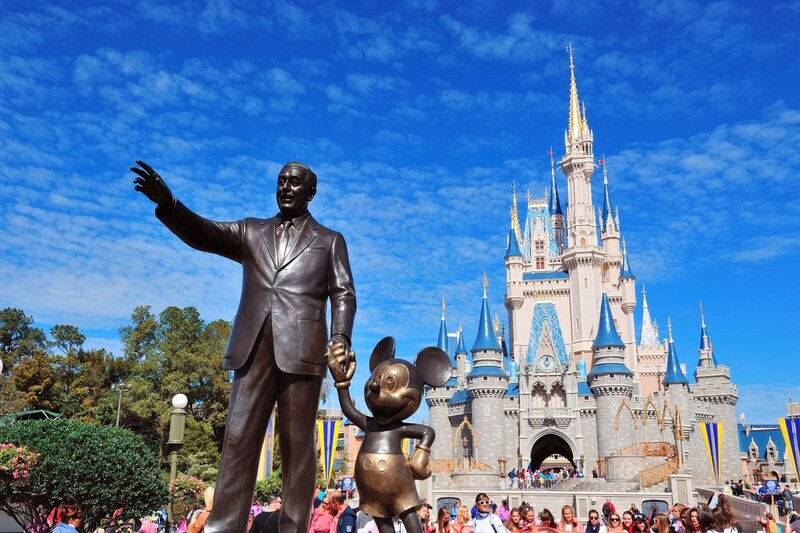 Home to Disney World and therefore the destination of so many families and their children over generations, it has become the one place you go to get away from it all. 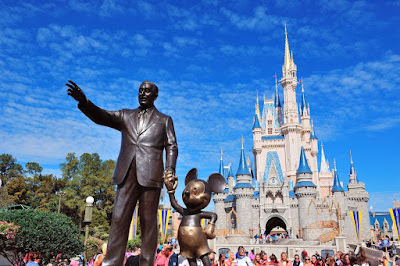 You leave the home behind and all of the negative evening news and you travel to the land of make-believe to immerse yourself in childhood fun and fantasy. What’s the point? Well, what better way to galvanize the parents and children across America to take up the issue of gun control in earnest than by shooting up their adult and childhood playground? Put them together with the LBGT higher ups, (working behind the scenes) and the LGBT Movement (working out in front) and you have yourself quite a formidable force to be reckoned with. BE SURE AND CHECK BACK AS MORE FACTS BECOME AVAILABLE! Did you find our site useful? Thank you for reading our free online articles? We want to say thank you!!! If they have been helpful, you can make donations to this site here to show your support.